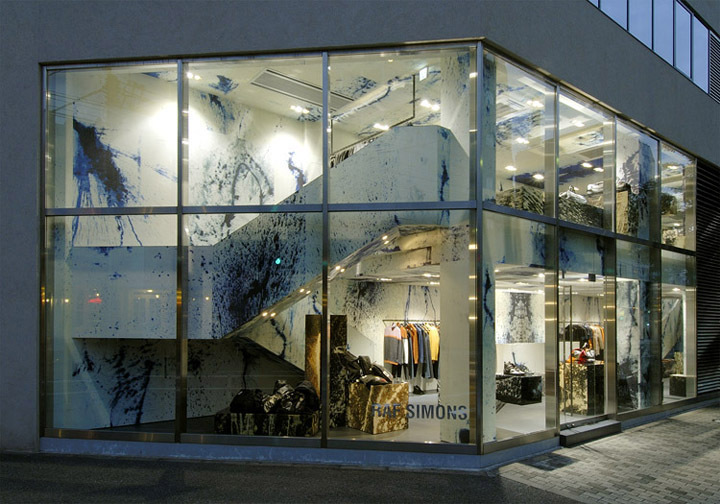 Belgian menswear designer Raf Simons has commissioned german-born, LA-based artist Sterling Ruby to use his Tokyo boutique as a canvas. 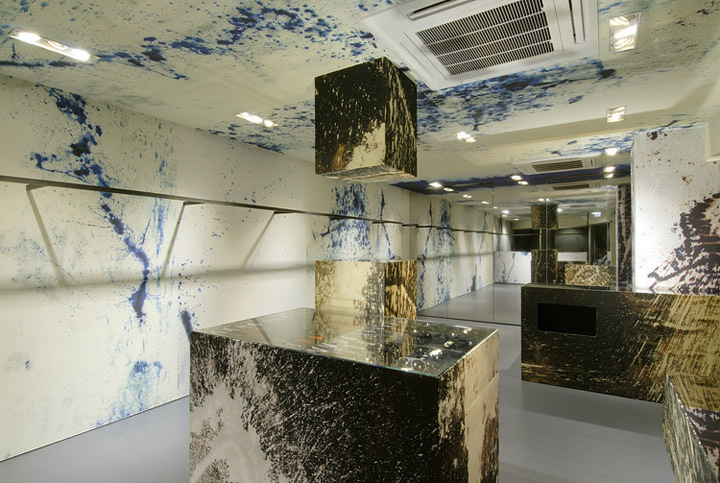 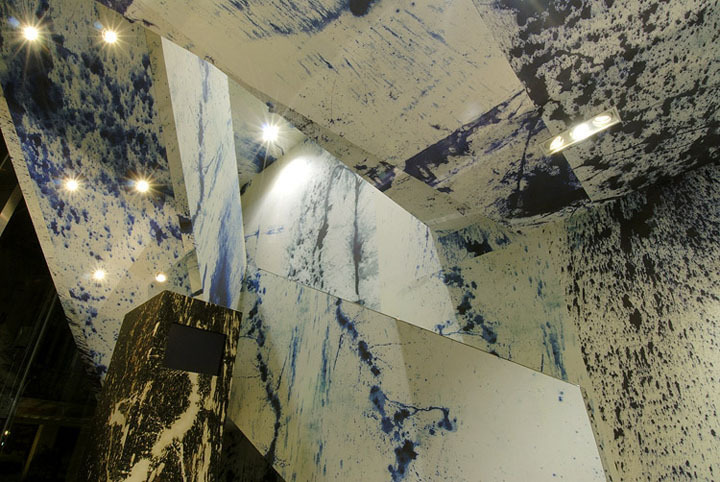 The installation transforms the store from a stark white space into something completely different with large splashes of blue paint. 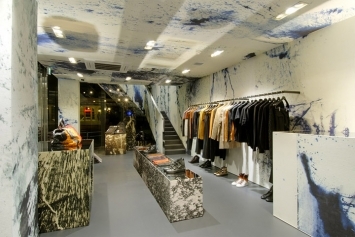 The splatter pattern on the store’s display pieces looks the same with brown hue. 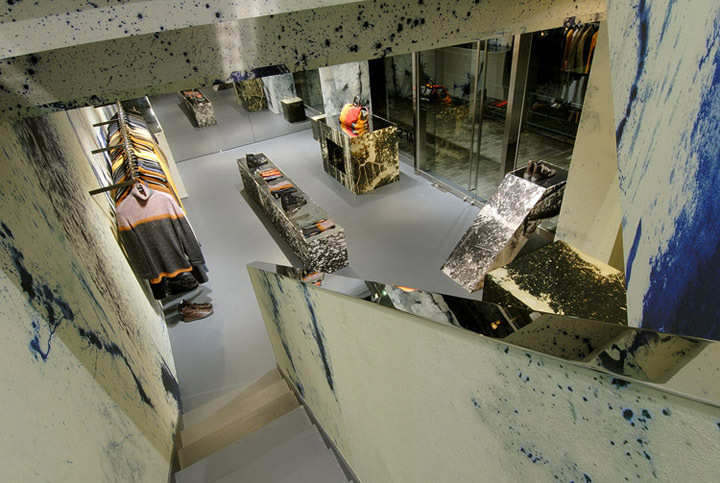 The installation covers the boutique’s two floors and don’t worry, it didn’t affect simons’ clothing.